1- Normally I work with my laptop connected to pedalSHIED/Arduino DUE using a USB to micro-USB cable. 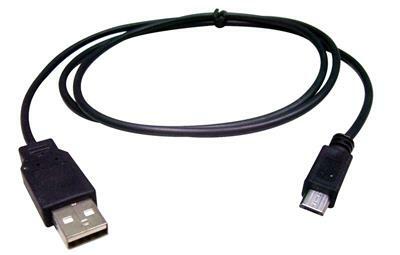 It is convenient for debugging but some computers can introduce noise trough the USB, so depending on the laptop a hiss level can be heard when using this connection. 2- Powering Arduino Due by connecting the UBS to micro USB cable to my old ipod charger or my Samsung phone charger works great. 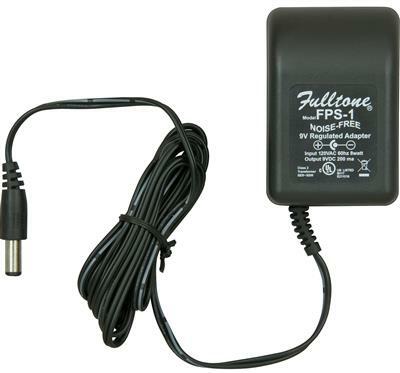 3- Also a standard 7-12V AC adapter 2.1mm center-positive plug is a good choice. 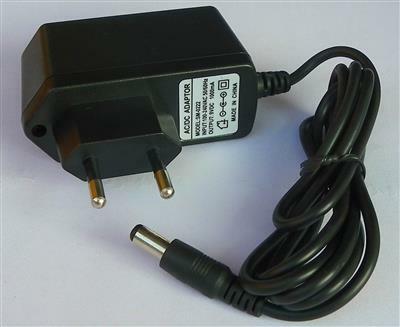 4- Take care when using a typical "Boss" pedal adapter, they are center tip grounded, opposite to Arduino Due polarity. So DONT USE IT HERE. - VIN. The input voltage to the Arduino board when it's using an external power source (as opposed to 5 volts from the USB connection or other regulated power source). You can supply voltage through this pin, or if supplying voltage via the power jack, access it through this pin. - 5V. This pin outputs a regulated 5V from the regulator on the board. The board can be supplied with power either from the DC power jack (7 - 12V), the USB connector (5V), or the VIN pin of the board (7-12V). Supplying voltage via the 5V or 3.3V pins bypasses the regulator, and can damage your board. We don't advise it. - 3.3V. A 3.3 volt supply generated by the on-board regulator. Maximum current draw is 800 mA. This regulator also provides the power supply to the SAM3X microcontroller. - IOREF. This pin on the Arduino board provides the voltage reference with which the microcontroller operates. A properly configured shield can read the IOREF pin voltage and select the appropriate power source or enable voltage translators on the outputs for working with the 5V or 3.3V. So, if I understand this correctly, it is possible to power the pedalshield with a 9V power station from my pedal board, as long as I take care of the polarity. Am I right ? it is possible to power the pedalshield with a 9V power station from my pedal board, as long as I take care of the polarity. Am I right ? Usually, guitar pedal adapters are centre-negative (boss type or "negative polarity", on the right above). So just be sure that you are using a "centre positive", the left one. Last Edit: 4 years 3 months ago by Ray. Am I correct in thinking that I could connect a "boss" style center negative plug to an enclosure, and wire the +ve and -ve to the pins marked "VIn and GND beside it - and power the entire pedal and arduino that way? I currently have an adapter made up to take power from a center -ve boss chain to power the arduino's required centre +ve plug and that works(very low noise). But for my second build that I'll need to put in a different enclosure anyway (couldn't source the correctly dimensioned pots or jacks locally), I'm going to make the build so it's more like a "normal" pedal - power from the top, jacks on the "correct" sides of the pedal etc. Along those lines, any suggestions on how to setup an off board reset button? I'm thinking a momentary switch wired to the "reset" pin that is under the output jack and the near by 5v GND pin. last one is center positive. I also use a diy adapter to connect a boss adapter to the Arduino Board but it is not the most elegant arrangement. Looking at the Arduino DUE schematic, the Vin pin goes to the same point that the Arduino power supply adapter. The Arduino Jack is reverse polarity protected using a diode (D5) and also this diode will help to use only one source of power in the case that you provide energy through the Vin pin and the Jack connector. You could even go further; instead of wire the +ve and -ve to the pins marked "VIn and GND, you can wire +ve and -ve to the Arduino power supply jack (the pins are big are very easy to access and solder on the bottom side of the Arduino PCB). Doing it like this the diode D5 will always protect you from reverse polarity, so if somebody plugs the wrong polarity adapter all will be safe. So yes, in theory you can connect a boss female jack in a box and connect it to the Vin and GND pins of the Arduino Board and all will work together. We get all from Mouser, in the Bill of Materials of the project you can see the part numbers if you want them. Good post! I've had the best luck powering from 6AA's going into the barrel jack. I've found it makes a huge difference in comparison to powering off many USB adapters, and even other AC driven switched barrel adapters.